The Tyent MMP-7070 Water Ionizer produces amazing alkaline pH levels and low acidic levels while providing clean, oxygen rich, ionized water. The UCE-9000 Turbo Water Ionizer produces pH levels from the lowest acidic levels to the highest alkaline water levels available in the industry today. The Tyent MMP-9090 Turbo Extreme Water Ionizer produces pH levels from the lowest acidic levels to the highest alkaline water levels available in the industry today. The H2Go is the unique portable solution to safe drinking water. It re-mineralizes and ionizes ordinary tap water while filtering out chlorine, heavy metals and bacteria. Each filter lasts up to 800 Litres or 3 Months. 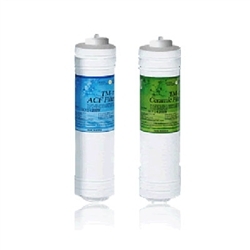 Replacement filters for the MMP-7070 Water Ionizer. These filters have a 3,600 litre cycle (up to 6 months) by the standard of the passing water quantity of 20 litres a day. Ultra fine micron filtration replacement filters for the UCE 9000T Model. These filters have a 3,600 litre cycle (up to 6 months) by the standard of passing 20 litres a day. GoodLife bottles are the perfect & most eco-freindly way to carry your alkaline water anywhere you go. GoodLife bottles are the perfect & most eco-freindly way to carry your alkaline water anywhere you go. Ultra fine micron filtration replacement filters for the MMP-9090 Water Ionizer. These filters have a 3,600 litre cycle (up to 12 months) by the standard of the passing water quantity of 10 litres a day. 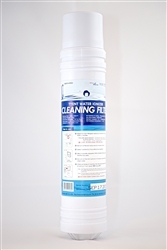 This pre filter kit is ideal for removing scale from your water. It is essential to have a pre filter as we have extremely hard water in The UK, which in turn can damage your ionizer.The kit comes with an anti scale filter and a John Guest Angle Stop Valve, which incorporates a single check valve that meets water regulations guidelines. Please note the white hose and copper pipe in the picture are to demonstrate how the kit can be assembled and are not included in the kit. 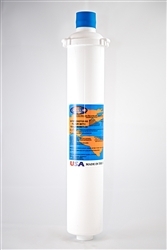 Citric acid cleaning cartridge for UCE under counter ionizer This pre filter is ideal for removing scale from your water. It is essential to have a pre filter as we have extremely hard water in The UK, which in turn can damage your ionizer.